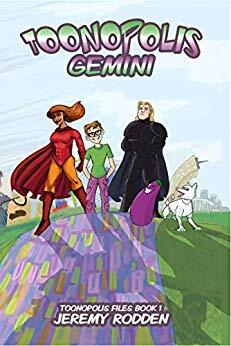 Well, it’s got super-powered kids, deadly bad guys, and a cool Camp Half-Blood/Hogwartz/Xavier School for the Gifted thing going on, but still has its very own uniqueness that makes it cool. 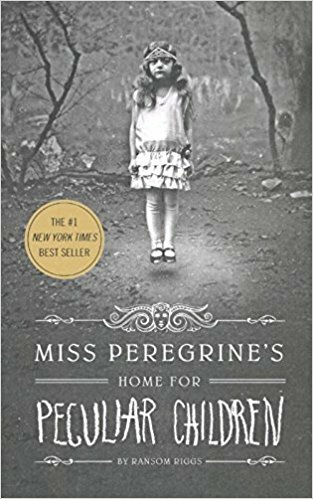 There are clearly a bunch of “special kids go to a special school” style of stories out there, but there are some amazing facets to Miss Peregrine that set this book apart from the others. First, the unique inclusion of the pictures, supposedly of the characters in the story, are quite awesome. One of the few times I was sad to be listening to the audiobook (although, thankfully, I had a copy of the paperback as well so I was able to find the pictures to look at there). The characters are perfectly set to an “older” age group (well, Jacob at least, was–as we learn, many of the children are hardly the ages they appear) and it makes their trek (especially as the series continues past the first book) more believable and acceptable. The entire concept of time loops and frozen moments is maybe one of the coolest parts of the entire series. The characters are really well fleshed out and diverse, which is probably the strongest aspect of the book. Riggs does an amazing job of working with “children” that are young in appearance but much, much older in actual age. This is probably the part that separates this series apart from the aforementioned “kid goes to a magical school” concepts I mentioned above. I legitimately cared about all the other characters, especially Enoch and Bronwyn. Enoch’s complexity in particular was one that I loved. A kid with the power to raise the dead is pretty dark but it’s handled quite well for a book appropriate to a MG/YA audience. All in all, it was a fantastic book and I gobbled up the entire series quickly. There is nothing content-inappropriate here. Some violence including death but nothing majorly gory or bloody. The romantic elements (which are minimal) are kept to a PG rating.